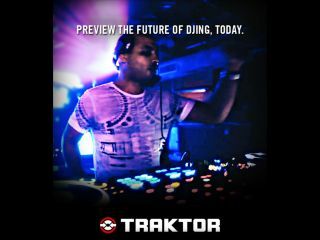 2011 could be a big year for NI's Traktor. Native Instruments announced in 2009 that it would no longer be attending trade shows, but on the eve of the 2011 Winter NAMM Show, the company has released a video that appears to show an updated version of its Traktor DJing software and new interfaces. The clip features NeuWave Renegades (Dennis Ferrer and the Martinez Brothers) road-testing the new gear, but doesn't provide any detail on what it actually is. However, we've been told to expect an official announcement "early in 2011", which also happens to be Traktor's 10th anniversary year.